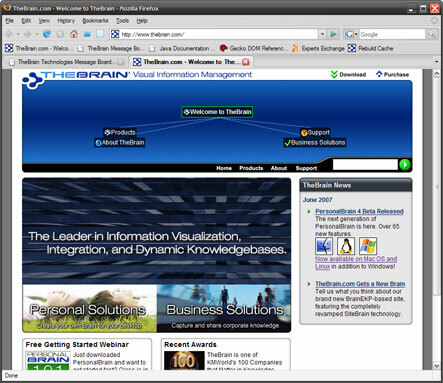 It has been 2 days since I cannot navigate http://www.thebrain.com. 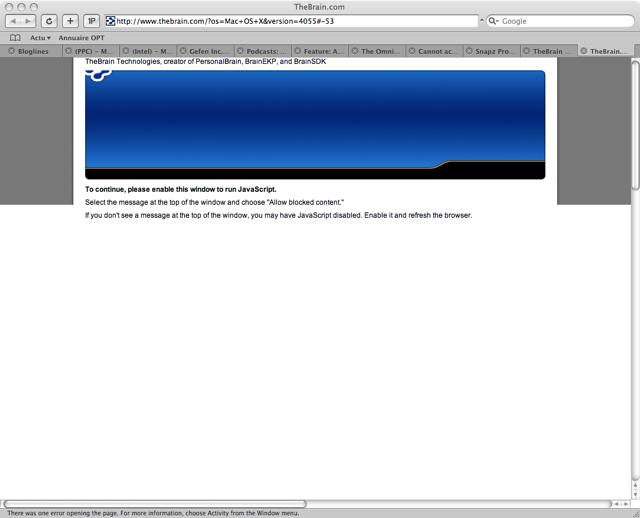 I always get "the page you are trying to access does not exist" followed by an endless frame in frame. I tried to access via Safari and Camino (Mac OS) and also IE7 (Windows). Same thing. We updated our web site a week ago. Perhaps there are still some cached pages out there? Can you please upload a screenshot of what you are getting when you try to access? Where are you located and who is your ISP? Thanks for your help. The new site should look like the attached image. Well, I was able to view the new site on the first days. When the problem occured, I tried with empty cache, on different computers and browsers, with no more success. The problem obviously comes from my ISP: http://www.mana.pf (French Polynesia). But usually it's a reliable ISP and I have no problems surfing the net. Very annoying as I can't get the new betas, since automatic update doesn't seem to work on every update. Any "external" link to download them and get the release notes? Please, could you mail me a link to the new beta? Please let us know if this problem accessing our site persists for you. The links are working, thanks! Do you have one for the new PB4 manual? Is this problem still happening for you? 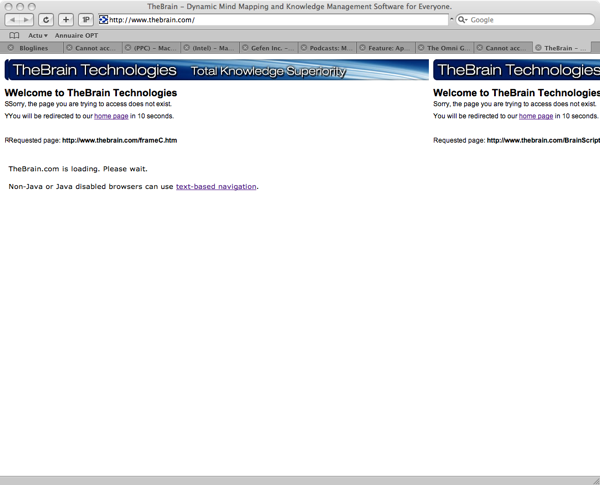 Please contact support@thebrain.com and they can email you the manual and help troubleshoot any other issues. But only in my country. So that might be a problem with my ISP's cache.